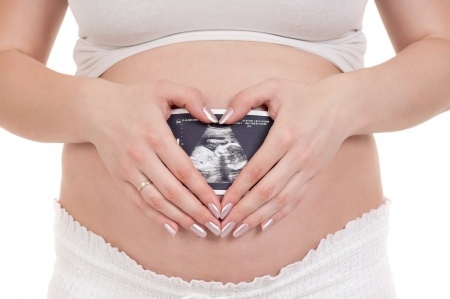 Pregnancy undoubtedly is one of the most amazing experiences of a woman’s life. Despite morning sickness, leg cramps, and all the times where one prefers to remain seated because getting up from the sofa seems a task too daunting, one simply cannot overlook the miraculous presence of another life within. With the passage of time, the feeling of a baby growing sinks in. As you switch between apps and books telling you more and more about your baby’s growth and development, you might come across the fact that babies have loads of facial expressions, like brow lowering, frowning, lip parting and nose wrinkling. But can babies cry in the womb? Yes, they certainly do! According to studies, baby crying, a previously unknown behavioral state of human fetuses, is an expression of displeasure and can occur as early as 28th week of pregnancy. This silent crying in womb has been demonstrated in video-recorded ultrasound images of fetuses in third trimester upon a stimulus of a low-decibel noise on mother’s abdomen. This silent crying is related to smoking and cocaine use, but further research confirmed that this behavior was not associated with tobacco and cocaine exposure. The finding was an incidental one when the effects of cocaine and tobacco on fetuses were being studied in pregnant women. The behaviors of babies crying in womb may include mouth opening, tongue depression and several irregular breaths taken before exhaling and settling back. The study revealed similar results when conducted on a number of fetuses. In one of the videos, other than above mentioned behavioral characteristics, a female fetus was found turning her head, tightening her chest and letting out three quick breaths along with a quivering chin and increasing head tilt. Crying, the ultimate communication tool of babies, is in fact a complex behavior requiring coordination of various motor systems and may have developmental implications. It requires receiving stimulus, recognizing the stimulus as negative and giving proper response. So, now you know the answer to the question, "Do babies cry in the womb?" are you curious about what else babies can do in the womb? Well, read on and your baby might be doing one of these activities right now. Your baby has a tendency to swallow amniotic fluid more when it’s sweet, and this can begin as early as 15th week of pregnancy. Certain foods have an effect on amniotic fluid’s flavor and this is nature’s way of preparing your baby for the taste bud stimulation they’ll get in the world. Amniotic fluid flavor is altered by ginger, garlic, anise and sweet flavors. This happens sometime around week 28, but your baby may turn away from bright light that gets filtered through the abdomen earlier than this, say 15th week of pregnancy. According to research, babies open their eyes in the womb, even though they don’t have much to appreciate; they certainly start reacting to light in the second trimester. Now this is nature’s way of preparing your baby for all the future wee accidents. Urine production starts somewhere at the end of the first trimester. Baby starts swallowing the amniotic fluid, digests it and then urinates or excretes the waste product back into the amniotic fluid. This keeps repeating itself. This, however, is extremely useful for sonographers, who on ultrasound can work out problems with the swallowing reflex just by watching it on scan. While the umbilical cord is responsible for providing the baby with all the nutrients including oxygen and carrying away the waste products, your baby still begins to practice breathing inside your womb. The very first breath triggered by the sudden change in temperature and environment is when baby is delivered. However, in just 9 weeks of pregnancy baby practices motions and tries to improve breathing skills. Women opting for water birth should keep in mind that the water temperature should be equal to that of body in order to delay the first breath to the point when baby is lifted out of the pool. As long as the umbilical cord is attached, your baby will continue to get oxygen. Do babies cry in the womb? Of course, they do. But they also smile! Smiling, the baby’s way of telling you that you’re doing a great job, is something your baby might be practicing right now in the uterus. 4D scans have successfully revealed smiling babies from around 26 weeks. Between changing nappies, giving baby a bath, feeding them and rocking them to sleep, you’ll surely get a glimpse of this sight which your baby has been practicing for quite long now. This begins early in the first trimester. In some cases it may never be felt, not even once during pregnancy, while for others it may be something that is experienced on a daily basis, mostly in the second half of pregnancy. Can babies bond with their moms? Yes, they do. Baby cry in the womb, telling his or her mom what he or she dislikes. This is one way of bonding. Your baby doesn’t need classes or any kind of training for this particular thing. Bonding is something that will naturally occur and it starts during pregnancy. Your last 10 weeks of pregnancy while you’re busy in the countdown, your baby is paying a lot of attention to your voice, actively listening to it but obviously don’t expect babies to understand it. Your baby would be able to recognize your voice after birth because of your little talks with your baby. So keep interacting with your baby.